Honestly I'm not quite sure where my love of tassels comes from. But I can't get enough of them. On the ends of pillows and fringing scarves, large tassels on a handbag, or little tassels sewn to a dress or sweater. I even own many a tassel adorned necklace. I just love them! 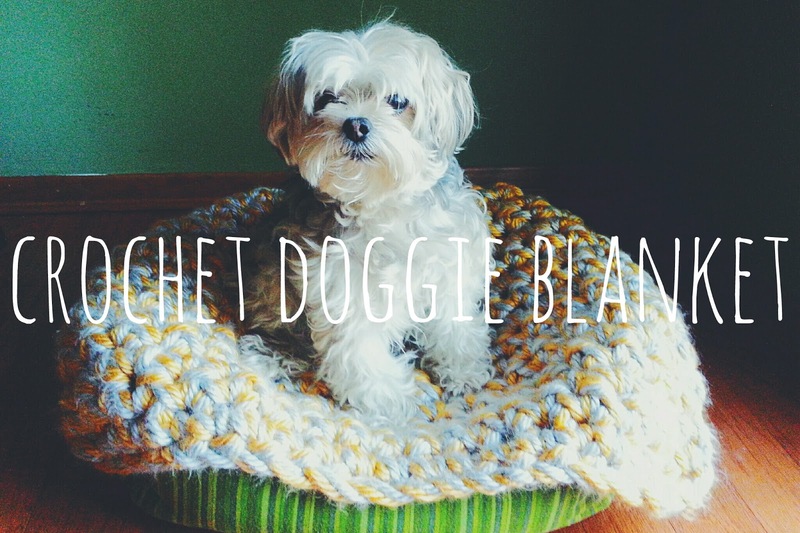 They make everything a bit cuter I think. So I really wanted to have tassels as part of the decoration of my craft room space. Tassels are super easy to make too and you can use just about any kind of thread, string, or yarn. 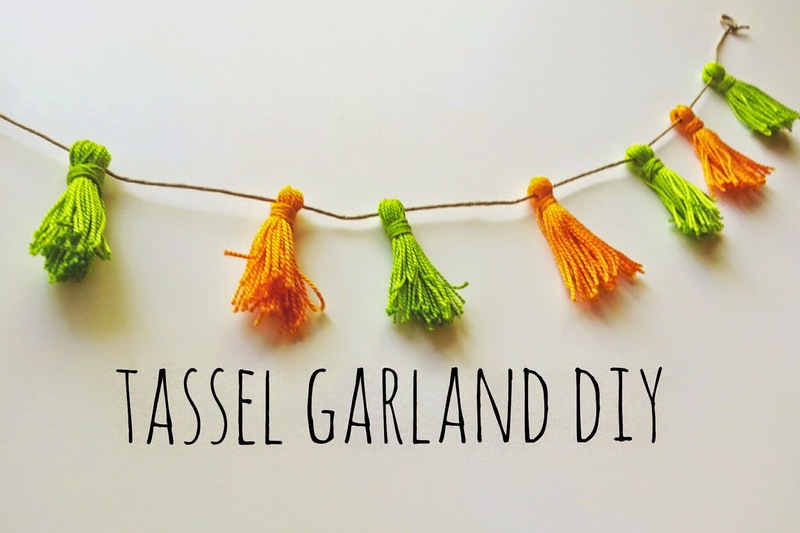 For this easy DIY tassel garland I used embroidery thread. As a guide to insure the tassels were made to the same size, I used a square of cardboard to wrap the thread around. Besides that, all I needed were a pair of scissors and a length of cord. 1. Choose your thread colors. I used 2 skeins of each color. 3. Cut the threads from the cardboard in one straight cut. Tie them tightly together in the center. 4. Fold the tied threads in half so that the knot you made is at the top, and use the string from the tie to wrap around all of the threads. 5. Tie off the end and trim the excess. 6. 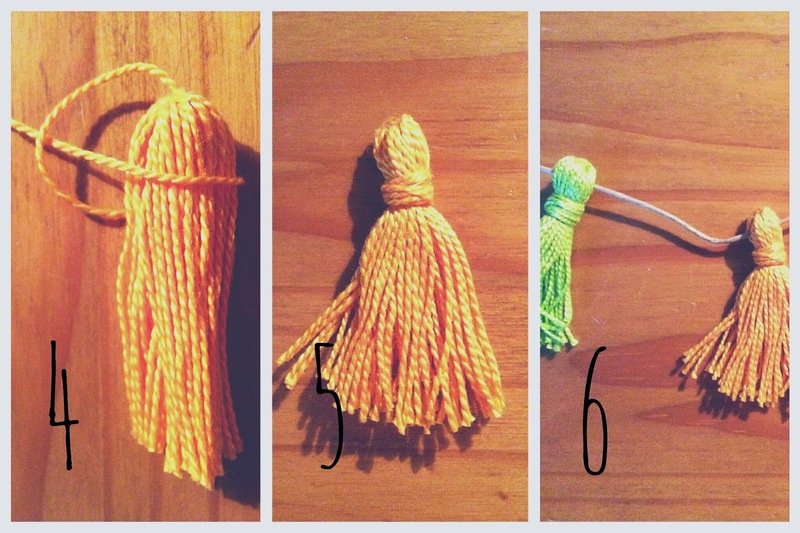 Repeat steps 1-5 for each additional tassel then thread them onto a cord. 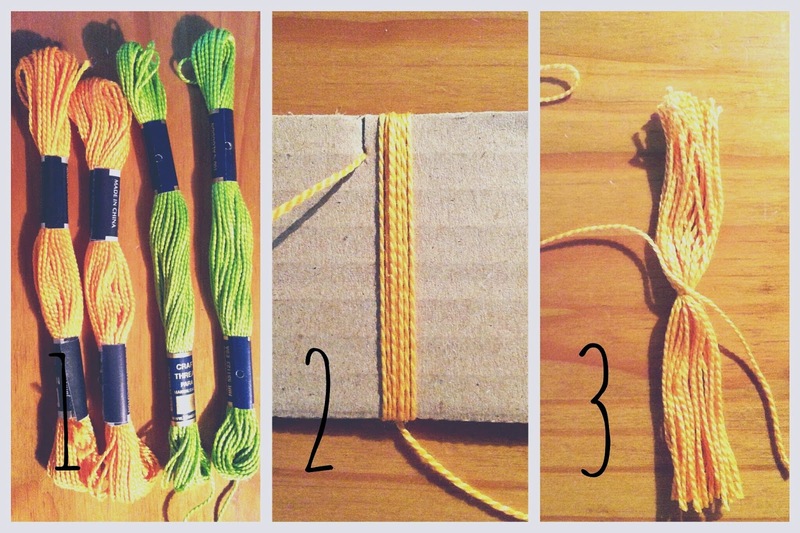 You can tie loops on each end of the cord in order to hang your tassel garland. Where do you plan to add tassels to your life? Upcoming tassel posts will include, DIY tassel jewelry and tassel embellished cloth napkins. Check back soon!